for oranges and grapefruit for the Texas Counties of Brooks,. 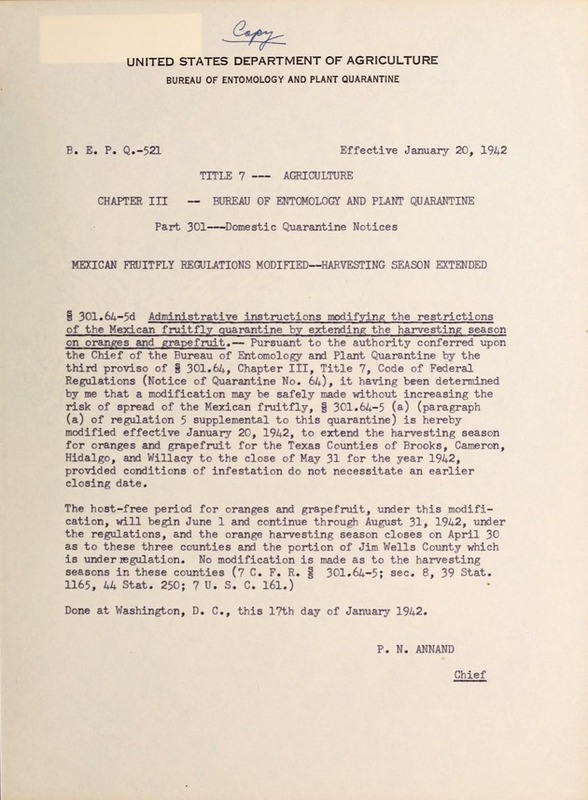 Cameron, Hidalgo, and Willacy to the close of May 31 for the year 1942,, provided conditions of infestation do not necessitate an earlier closing date. Done at Washington, D. C.,. this 17th day of January 1942.